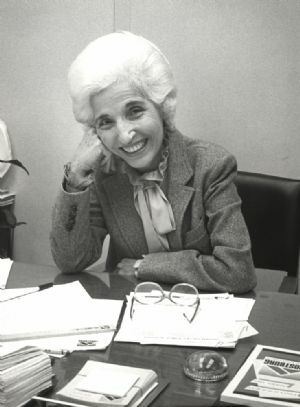 Alice R. Manicur, Ed.D. was born in McDowell County, West Virginia, one of six children born to parents of Italian descendants and whose father immigrated to the United States. A coal miner’s daughter, whose family also farmed the five-acre plot of land upon which their humble home was located, Alice learned the value of hard work at an early age---an ethic that would remain a constant throughout her life. Her parents also instilled in her a love of learning, which would set the foundation for her life’s work as an educator. Encouraged by high school teachers who were impressed with her intellect and determination, Alice applied to Berea College in Kentucky, which had an excellent academic program as well as a national reputation for assisting talented students from very modest backgrounds. Alice’s initial contact with college was prematurely truncated when she decided to leave Berea and return home to work and earn money to assist her family. At the conclusion of the war 2 years later, Alice joined her sister in purchasing part interest in a bus station café, where she managed the business for nearly a year before moving to the larger community of Bristol, Virginia to take a more lucrative financial job with the Monroe Calculating Machine Company. During the next 4 years of working at the Monroe Company, Alice was able to provide a steady flow of money to her family and helped to support the educational expenses of her brothers. It was to be a practice Alice Manicur would continue the rest of her life. Despite her success in helping to provide her family with financial support, Alice never lost sight of her goal to continue her own education. While working at the Monroe Company, Alice enrolled in a local business college for a year of night school. In 1950, Alice made the bold decision to return to Berea College, citing it as “the best decision I ever made!” While at Berea, Alice held several jobs including one in the office of the dean of women that altered future decisions in powerful ways. Dean Julia Allen became a role model for Alice, treating everyone with respect and caring for the lives of the students---an approach that would define Alice Manicur’s style in her own incredible career in education. With the help and encouragement of Dean Allen, Alice applied and was accepted into the graduate program in student personnel administration at Indiana University, where she completed her degree in only 1 year. Upon graduation from Indiana University, Alice accepted a position at MacMurray College as their first counselor of freshmen, an experience that provided her with a life-long commitment to new students, which was later translated into the creation of innovative orientation and advising programs at Frostburg State University. Alice pursued and earned a doctoral degree from Indiana University 1960. Immediately upon receiving her doctorate degree, Alice Manicur was recruited by President Bowen Hardesty to accept the new position of dean of students (at Frostburg State Teachers College, later Frostburg State University) which she did effective August 15, 1960. Throughout the next 46 years, Alice would inspire the creation of new programs in the residence halls, student orientation, academic advising, and career counseling. She would encourage students to explore career options through the establishment of a career advising program and expand opportunities for students to be immersed in cultural and international experiences through the development of the Cultural Events Series. She personally advised the Student Government Association and consistently advocated for strong student involvement in the life of the campus. Alice Manicur passed away in January 2017.